Something everyone needs more of is RAM. RAM (memory) is easily the cheapest upgrade you can add to your machine, and is easily the fastest growing specification in the computer build specs today. 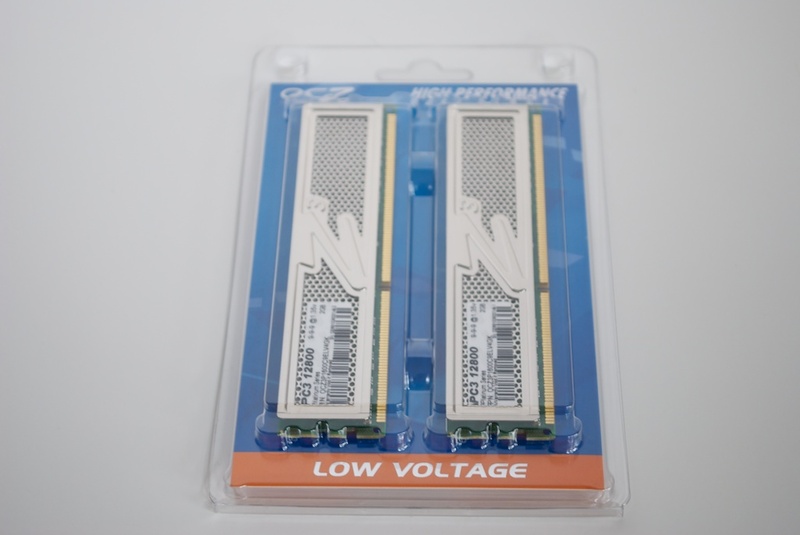 RAM is also something that also adds a lot of heat to your machine especially in large quantities or high speeds. Here today we have the OCZ DDR3 PC3-12800 Platinum Extreme Low Voltage CL 9 Dual Channel 4GB kit for our testing pleasure. It’s a good bit of RAM at great speeds, but low power which should keep it cool. Also, it has platinum colored heat spreaders and a low/standard profile. Lets see how the OCZ Platinum fairs in our performance tests. A closer inspection of the RAM shows us that it has some really great looking heat spreaders that don’t add a lot of bulk. Heat spreaders are very important in a performance machine; you really don’t want any heat to stay near your components, so the more passive heat dissipation the better. The heat spreaders on this are normal in bulk, and do not add any extra height. This is great for anyone with an over-sized heatsink ,e.g., me. 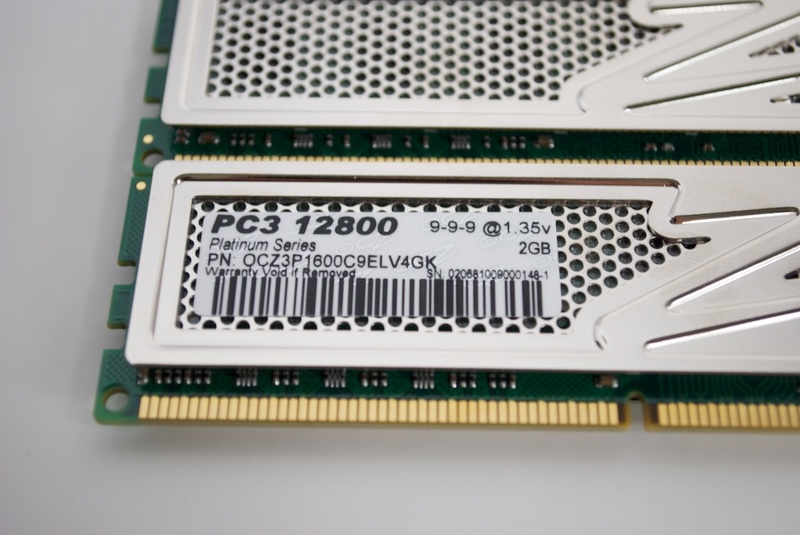 We can also see that this RAM was designed for the Intel i series of processors. This should not be of concern for AMD users. After all, it’s dual channel. However, it is 1600 DDR3, and AMD only supports up to 1333. That means we will have to overclock it. Great structure and design. Unfortunately, my laptop’s processor is AMD, I can’t try this one.